Background/Info: Behind People Theatre is hiding French producer and artist Pater Rainman. He made numerous remixes for famous bands and got active as a producer while he was also involved in several bands like Waiting For Words and more recently Adan & Ilse. 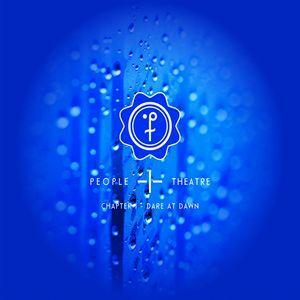 I also discovered People Theatre by some collaboration EP’s together with Yasmin Gate and later on with Die Puppe. 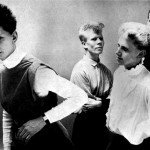 Content: “Acte I: Dare At Dawn” reveals some of the artist’s main sources of inspiration getting us back to a great, retro sound of the 80s mixed with elements of electro-pop music. 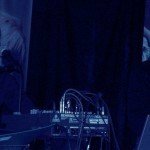 The songs are somewhere in between vintage electro-pop and a touch of electroclash music. The sound is a bit into darkness, but quite accessible through a vague groovy dance element and some irresistible synth leads. The song “Again” (together with Waiting For Words) is one of the strongest components of this record. I also have to tip “Runaway”. The vocals are sometimes a bit like having a subordinate role although it’s an essential part of the work and I especially like the somewhat half-spoken format. + + + : The total production is masterly accomplished, revealing a fascinating and diverse electro-pop format carried by cool vintage elements. – – – : I can’t get away from the idea that I expected more out of this EP. Peter Rainman is a renowned and talented artist, but I don’t have the feeling there’s a ‘hit’ hiding in the track list. Conclusion: I’m often disappointed when my expectations are too high and that’s a bit what I experienced again with this EP. At the other side it’s just a ‘first act’ and I’m convinced that the best is yet to come! Best songs: “Runaway”, “Again”, “Maybe”.